CORDULA Scenic Island was born out of a love of the world of elves, fairies and pixies created by Cicely Mary Barker. Cordula has recently gained acclaim by many as a place for romance. Nothing dominates Cordula but its restful scenery and curiously unpretentious romantic aspect. Take a walk along one of its many scenic ways. Be sure to listen to its music and enjoy the atmosphere. of William Morris adorn the walls and ceilings. The basement Tibetan Room hosts an underwater wonderland. Himal Castle, of many towers, stairways and thematic rooms, embraces a snowy mountain peak. at a log fire or kick up the snow in the dance circle. High above the gallery floor are many winding tower stairways that lead to the dance pool. through the arches of Himal's pentagonal dome. The word 'cordula', means 'heart' or 'sea-jewel'. According to legend, a fourth-century virgin saint called Cordula was friend and companion to Saint Ursula. Cordula is also the name of a type of slipper-orchid of which one variety is found only in the highlands of Cordula. 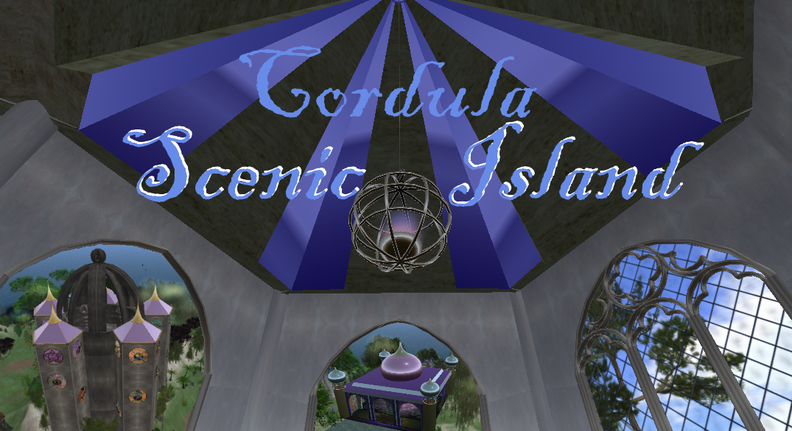 If you have a spare half hour or so, drop by Cordula and enjoy a different scene every minute. Last edited by Lara Nguya on Sun Sep 16, 2018 6:52 am, edited 2 times in total. Last bumped by Lara Nguya on Mon Feb 26, 2018 5:59 am.